Joseph John Carpentry is an established fine woodworking and cabinetmaking bespoke carpentry company. We design and handcraft beautiful bespoke furniture, specialising in individual pieces or complete projects for luxury kitchens, bedrooms, bathrooms, living rooms and home offices. Vertex Bespoke Joinery is your one stop shop for internal and external cabinetry and joinery projects in the Home. We focus on giving every client a personalised and quality driven approach, ensuring every customer experiences a smooth and worry free experience. We would love to hear from you! After almost 30 years in the timber industry, we’re extremely proud of our position as one of the South East’s premier architectural joinery manufacturers. Firmly established in the South East, Wood & Wisdom produces and installs a range of high quality bespoke joinery and we offer our clients a unique, quality driven approach to all aspects of joinery design and manufacture. We specialise in beautiful and individually designed kitchens, entire wooden buildings, extensions and exterior architectural joinery, as well as staircases. The 5000sq ft joinery workshop based in Balcombe, West Sussex, is fitted with the very latest in modern machinery and spray finishing equipment. Using traditional techniques our professional team of craftsmen is able to meet our clients’ needs and specifications in a reasonably short space of time and ensure each project is finished to the highest standards. Serving Sussex, Surrey, Kent and London we are a phone call away. 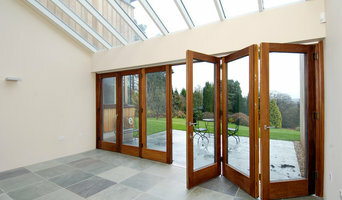 We specialise in the design, manufacture and installation of custom-made timber joinery including doors, windows, bespoke furniture, roof lanterns and bi-folding doors. We are luxury furniture makers who specialise in providing highest quality artisan joinery for residential and commercial interior design projects. Attention to detail is important to us, as it is one of the elements that give our highly engineered furniture its individuality. It is this detail that will help to ensure your furniture works exactly how you need it to. The quality of our work is deeply engrained. It is present in the fine materials we use, the craftsmanship of our people and the perfection of our finish. We believe that the quality of our craftsmanship is demonstrated in satisfied customer’s referring others to ourselves and this is principally how the business has grown to where it is today. We guard our reputation of quality seriously. We will never compromise our standards of quality or craftsmanship to achieve anything less than perfection. Our team work closely with leading Interior designers and architects and we pride ourselves in our ability to manage projects from the design stage through to completion. We have long standing relationships with our clients, and they have no hesitation in coming back to us as we strive to exceed their expectations every time. 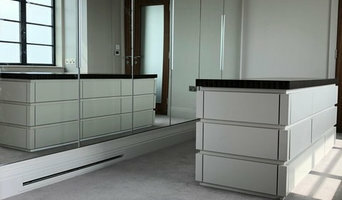 Providers of made to measure fitted furniture We supply all types of made to measure built in furniture for your home, Experts in beautifully designed and constructed bookcases, kitchens, wardrobes and all type of cabinetry, We offer a complete service from CAD designs to construction and then painting of your final piece. Feel free to get in touch via email, phone or our website. With over 20 year's experience in residential property construction and carpentry, Gareth Lowe works on creating stunning handmade kitchens, bathroom furniture, built-in wardrobes, garden rooms and more. Based in Sussex and South London, he has fantastic attention to detail for projects of all shapes and sizes. 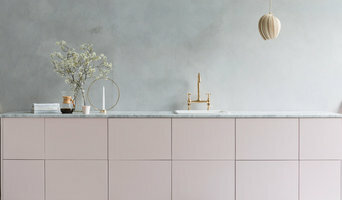 Gareth is available to create handcrafted furniture, whether built-in or stand alone, and has a wealth of experience in designing and building unique kitchens and garden rooms. Regardless of the size of your project, get in touch to see how he can help you transform your home. Based in Brighton, East Sussex, D.J Carpentry Solutions is founded upon the core values of trust, integrity and unfailing quality. We specialise in delivery carpentry solutions to suit your every need and specification, employing our extensive skill and passion to exceed your expectations every time. D.J Carpentry Solutions offers a broad range of carpentry services including bespoke storage solutions, kitchens, shop fitting and set building. When deciding whether to employ a joiner or carpenter in Brighton, East Sussex, it is best to pick your professional according to their experience on projects similar to your own. 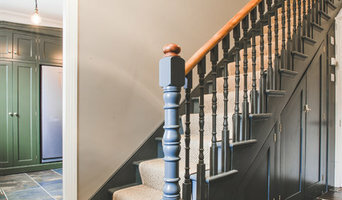 For example, installing bespoke joinery such as a staircase involves significant structural work and you might want to work with a carpenter in Brighton, East Sussex with considerable experience in bespoke staircase joinery. You will often find you need to employ both a carpenter and joiner on a single project, and some firms will offer both skillsets which can simplify your overall hiring process. Where can I find a good Brighton, East Sussex carpenter or joiner? On Houzz there are many professional Brighton, East Sussex carpenters and joiners that specialise in providing a full carpentry service or bespoke joinery in Brighton, East Sussex, whether dealing with fitted or freestanding, traditional or contemporary furniture. Simply search for a joiner or carpenter in Brighton, East Sussex in the Find Pros category, then add images of designs that you like to an Ideabook and contact those on your shortlist. If you need reassurance beyond photos of their work and reviews of previous clients, then you might check to see if the carpenter or joiner is a member of The Institute of Carpenters (IOC), The Guild of Master Craftsmen, the British Woodworking Federation (BWF) or the Federation of Master Builders (FMB). Each asks its members to meet a certain level of expertise and abide by a code of conduct. Have a face-to-face consultation – basic brief and image references in hand – see which joiner or carpenter in Brighton, East Sussex is the easiest to get along with and who best understands what you’re trying to achieve. How long have you been a joiner or carpenter in Brighton, East Sussex? 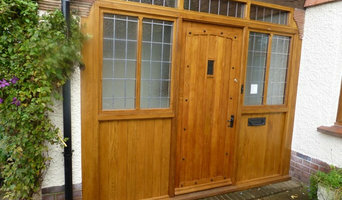 Do you offer bespoke joinery in Brighton, East Sussex as well as standard carpentry? Find a carpenter or joiner on Houzz. Narrow your search in the Professionals section of the website to Brighton, East Sussex joiner and carpenter professionals. You can also look through photos of woodwork and bespoke joinery in Brighton, East Sussex by style to find a design you like, then contact the joiner or carpenter in Brighton, East Sussex that worked on it.